Pack of 3 snag free hair ties. 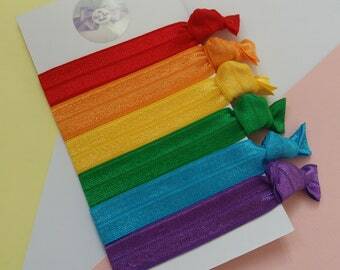 Made with super soft fold over elastic. 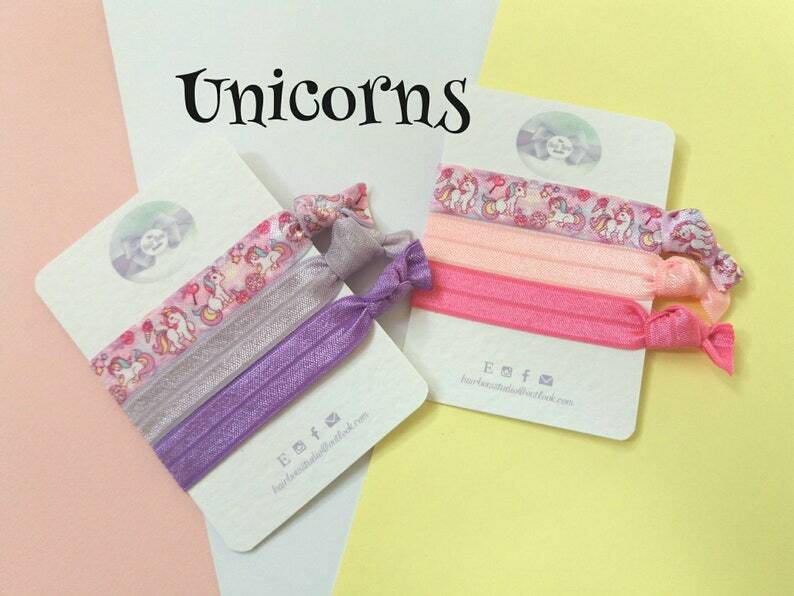 Unicorn and plain coloured hair ties make the perfect gift or party bag filler. PRICE IS FOR 3 HAIR TIES. Please select preference from the drop down menu.